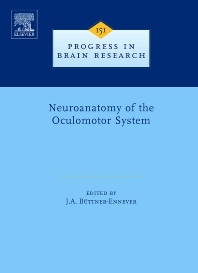 This volume in the Progress in Brain Research series features reviews on the functional neuroanatomy and connectivity of the brain areas involved in controlling eye movements. Oculomotor control of the eyes is now the subject of many research projects and advances in this field are relevant to understanding motor control in general. Neuroscientists working on motor, oculomotor, vestibular sensorimotor and visual systems; neurologists; neuroopthalmologists.